NEW YORK, NY (MARCH 20, 2014) – C24 GALLERY IS PLEASED TO PRESENT BANG BANG, THE FIRST NEW YORK SOLO SHOW OF GALLERY ARTIST KATJA LOHER. BANG BANG will expand upon the artist’s exploration into the delicate relationship we have with our ecological environment. By using physical objects, such as her signature hand-blown glass bubbles and hanging balloons, Loher creates idealized, artificial worlds that sit in harmony with our own, often unpleasant, reality. 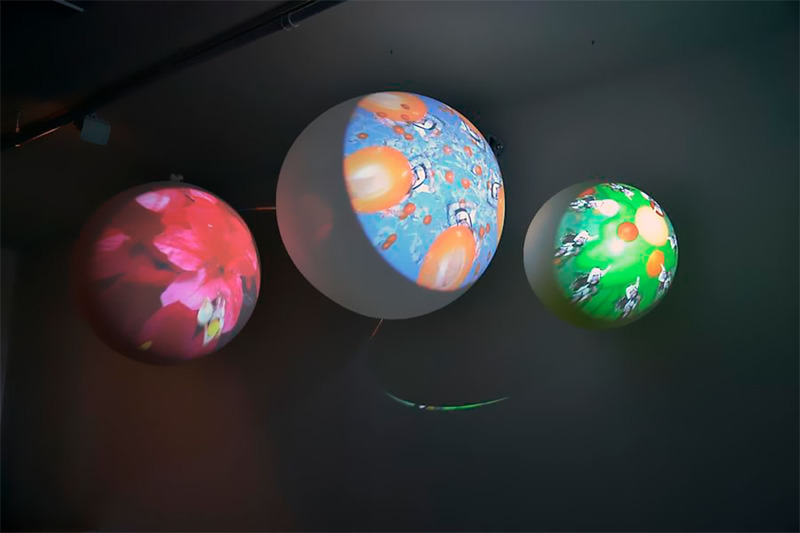 Loher’s carefully choreographed videos are encased, mounted to the wall, or projected, allowing visitors to fully immerse themselves in her creations. The exhibition will present a series based on the artist’s idea of the future of food after the Earth’s pollinators are extinct. These wall hanging videos are based on futuristic food supplies, which are set in the artist’s world and completely manufactured. 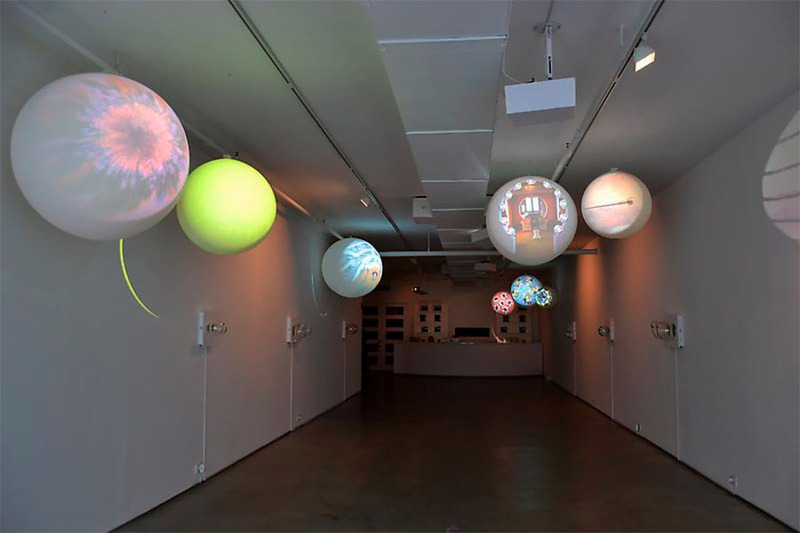 In addition, the exhibition will introduce new hand-blown glass bubbles, a central part of Loher’s visionary way of displaying her videos. 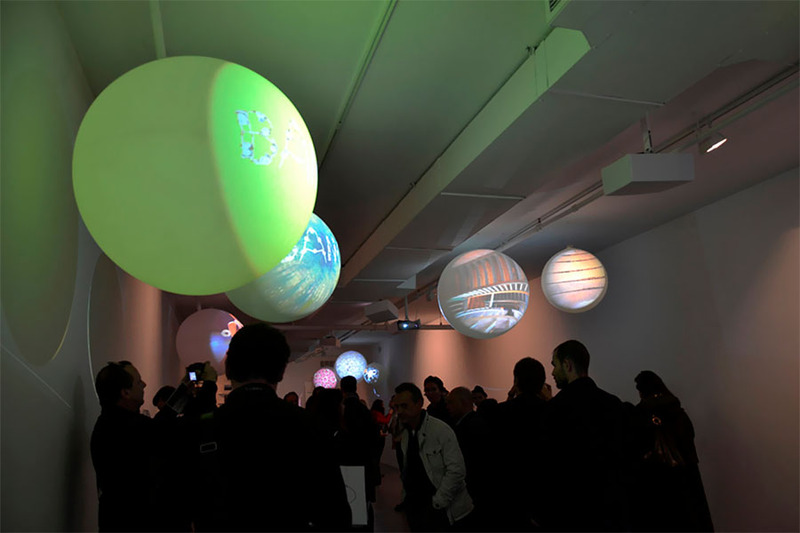 These videos have taken on multi-tiered meanings, as the glass orbs that encase the videos resemble ephemeral soap bubbles. Loher was inspired by the beautiful, delicate and fleeting nature of a bubble suspended in the air, only to dissipate and disappear forever within milliseconds of its creation. 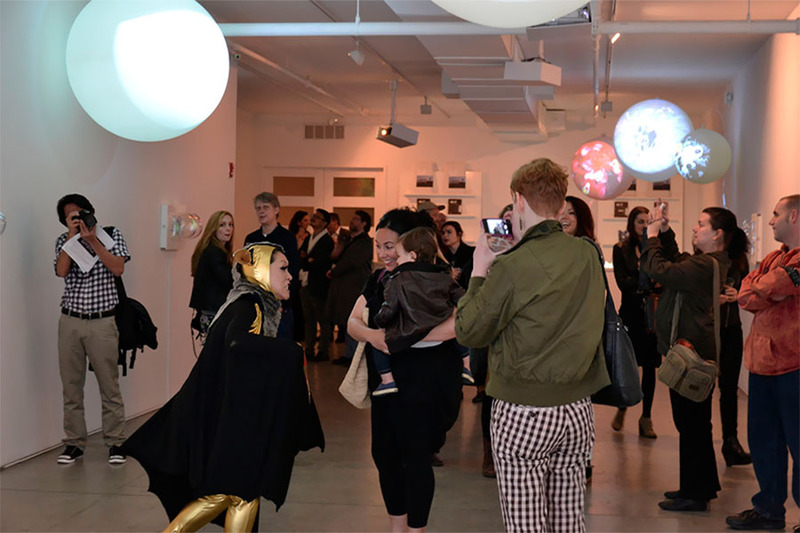 As always in Loher’s work, the experiences that typically go hand-in-hand when interacting with video art are subject to the artist’s visionary treatment. The deconstruction of the rectangular format of traditional video plays a central role in the intention of her fantastical environments. The artist breaks away from the canon of video art by liberating video from the constraints of the bulky technology associated with the standard and historical displays of the medium. By integrating her video into sculptural objects, the finished pieces provide a unique chance to disappear into the artist’s world, allowing us the opportunity to disregard the external stimuli demanding our attention beyond the captivating mini-universes she creates. The artist films her work on a green screen, carefully directing her cast of characters to make movements, perform dances, or spell out her ‘video alphabet.’ Each tiny universe, in its aesthetic beauty, makes an elaborate commentary on a bigger issue. The finished products are visually mesmerizing, similar to watching the movements of synchronized swimmers working together in perfect harmony. 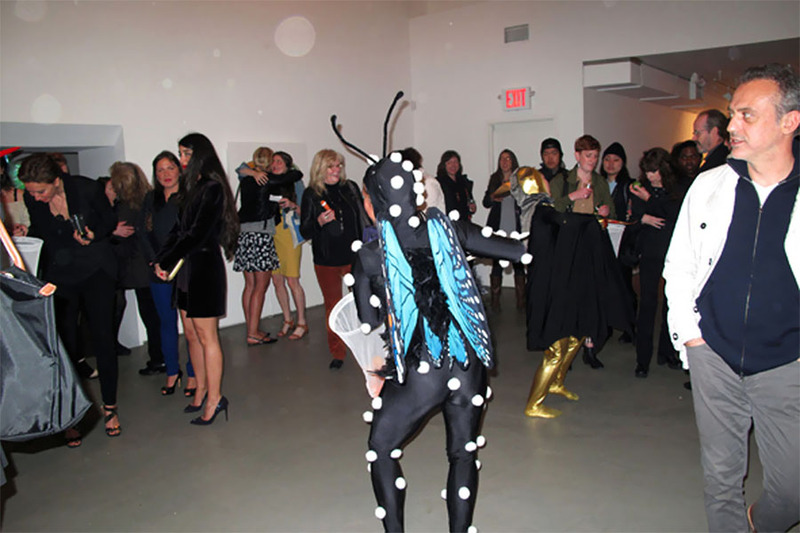 Loher’s contribution to the evolution of video art puts her at the forefront of the genre, continuing C24 Gallery’s mission of working with artists creating a unique dialogue within their evolutionary practices. With video as a starting point, Loher re-categorizes what it means to be an artist through her multidisciplinary practice, resonating with any audience, if only for the momentary opportunity to disappear into her fantastical world.